Social media is now the lowest-scoring category of all e-businesses surveyed. Intrusive ads and privacy concerns are driving down satisfaction with social media, according to a recent nationwide survey. Satisfaction with social media scored 72 out of 100 points, a drop of 1.4 percent, in the most recent American Customer Satisfaction Index (ACSI) 2018 E-Business Report. That makes social media the lowest-scoring category of e-business surveyed and among the bottom five of all 46 industries covered by the ACSI — just below health insurance and airlines. 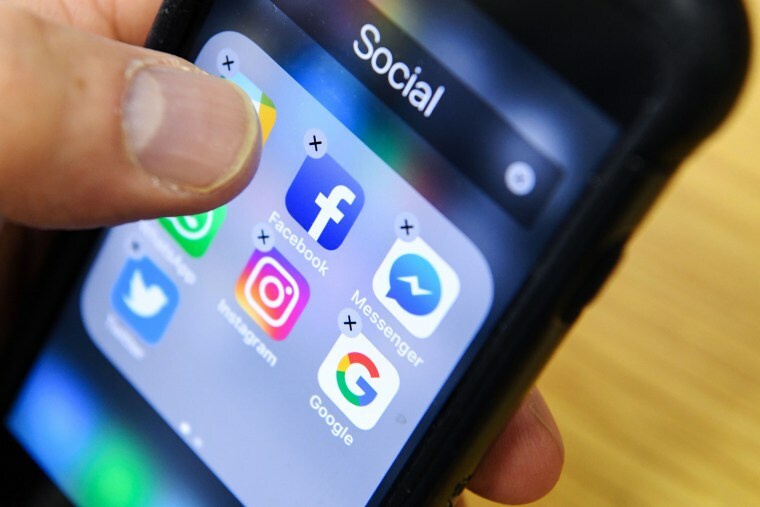 ACSI Managing Director David VanAmburg says privacy concerns and toxic discourse have taken their toll on social media satisfaction, but users are also growing weary of all the advertising. Overall, social media sites improved their mobile compatibility, but most other aspects of the user experience — site performance, fresh content, speed and reliability of video clips — declined 1 percent from last year. Privacy protection, with an ACSI score of 71, now matches its all-time low from 2014. Satisfaction with the number of ads on these sites also hit an all-time low of 68. The ACSI report, based on interviews with nearly 5,200 users, shows that most large social media sites lost ground or remained flat in customer satisfaction this year. Facebook dropped 1 percent, Instagram fell 4 percent and Twitter tumbled 6 percent. Three sites bucked the trend and saw satisfaction increase: Pinterest (up 3 percent), LinkedIn (up 2 percent, but still in last place) and YouTube (up 1 percent). Google+ (79), dipped 2 percent and dropped from first to second place this year. It excels in mobile capability and matches Pinterest for best-in-class privacy protection, the ACSI report noted. Upgrades at YouTube (79), including easier live streaming, seem to have paid off. The video speed and reliability on YouTube outpaced other major social media sites, users said. With an ACSI score of just 67, Facebook — the world’s largest social media site — remains near the bottom of the pack in this survey; five points below the industry average and just one point above Twitter. Facebook users said the site has “by far the worst privacy protection in social media,” according to the ACSI report. Users also dislike the site’s “intrusive” advertising. Navigation and video speed were rated poor and the content is seen as stale. Facebook did not respond to a request by NBC News for comment. Facebook has been struggling to deal with the blowback from the Cambridge Analytica scandal where user information was shared with an outside company, and the aftermath of Russian meddling in the 2016 election. Earlier this week, Facebook disclosed that it had discovered and removed 32 pages from its platform and Instagram tied to a new covert campaign to spread divisive political messages on its network. Instagram, owned by Facebook, is also struggling. Google’s YouTube (75) leapfrogged Instagram by one point this year. Instagram users seem frustrated with some of the recent upgrades. They said site performance is worse and the video speed is slower. Users also felt the content doesn’t seem as fresh and the ads are more intrusive. Twitter’s 6 percent drop in satisfaction was the largest decline of any major social media site in the ACSI survey. A polarized America uses Twitter to take positions on controversial issues and shout down competing viewpoints. Dixon believes the “toxic content” and lack of civility displayed in some tweets is hurting Twitter. Twitter did not respond to our request for a comment. Instead, the company provided links to several blog posts, including Continuing Our Commitments to Privacy & Transparency and Confidence in Follower Count. Social media is the new public square, and the companies that control the platform are now being held to higher standards both by the American people and members of Congress. While social media is losing its luster, it isn’t going away, because it connects billions of people around the globe. Prof. Grygiel believes the growing awareness of the problems and the public outcry for change will force social media platforms to improve in ways that make them better for all users. “There's a growing awareness from the public that these platforms aren't just about fun and games and staying connected — there are real risks with them,” Grygiel told NBC News.